Abstract: epilepsy is 3d common neurologic problem after cerebrovascular diseases and dementia in elderly patients. At the onset of epilepsy in elderly patients the most frequent etiologic factors are cerebrovascular, neurodegenerativ diseases, neurosurgical pathology. About 25 % of epilepsy cases in elderly patients are related to idiopathic epilepsy. In elderly people all type of seizures can be observed. In the international recommend ations on the treatment of elderly patients with focal seizures gabapentin, lamotrigine, carbamazepine are used. Lamotrigine is used as first line therapy of epilepsy in elderly patients in monotherapy or combined drug therapy. 1. Гехт А.Б. Фармакотерапия эпилепсии у больных пожилого возраста / А.Б. Гехт, Э.Г. Меликян, Ф.К. Дзугаева и др. Журнал неврологии и психиатрии имени С.С. Корсакова. 2001; 101 (6): 45-53. 2. Карлов В.А.Стратегия и тактика эпилепсии сегодня / В.А. Карлов. Журнал неврологии и психиатрии имени С.С. Корсакова. 2004; 104 (8): 28-34. 3. Лебедева А.В. Постинсультная эпилепсия. Автореф. дис. ... канд. мед. наук / А.В. Лебедева. М. 1998; 27с. 4. Glauser T. ILAE Treatment Guidelines: Evidence based analysis of antiepileptic drug efficacy and effectiveness as initial monotherapy epileptic seizures and syndromes / T. Glauser, E. Ben-Menachem, B. Bourgeois et al. Epilepsia. 2006; 47: 1094-1120. 5. Cramer J.A. Quality of life improvement with conversion to lamotrigin monotheapy / J.A. Cramer, A.E. Hammer, R.P. Kustra. Epilepsy Behav. 2004; 5 (2): 224-230. 6. Jallon P.M. Epileptische Anfaelle und Epilepsien beim aelteren Menschen / P.M. Jallon, P. Loiseau. Muenchenstein: SCIPP Vincennes Sanofi-Winthrop. 1995. 7. Hauser W.A. Epidemiology of seizyres and epilepsy in the elderly / W.A. Hauser. Seizures and epilepsy in the elderly. Boston: Butterworth-Heinemann. 1997; 7-18. 8. Kellinghaus C. Seizure semiology in the elderl: a video analysis / C. Kellinghaus, T. Loddenkemper, D.S. Dinner et al. Epilepsia. 2004a; 45 (3):704-709. 9. 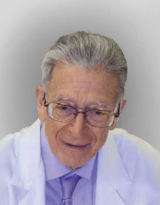 Marasco R.A. Epilepsy in the elderly: medications and pharmacokinetics / R.A. Maasco, R.E. Ramsay. Cosult. Pharm. 2009a; 24 (A): 10-16. 10. Tallis R. How common are epileptic seizures in old age? / R. Tallis, G. Hall, I. Craig, A. Dean. Age and Aging. 1991; 20:442-448. 11. Vercueil L. Seizure and epilepsy after stroke / L.Vercueil. Press.Med. 2007; 36 (1 Pt 2): 176-181. 12. WHO Study Group epidemiology and prevention of cardiovascular diseases in elderly people. WHO Techn. Report Ser. 1995; 853: 1-8.